These robots, inspired by the classic and well-loved Space theme, are always willing to lend a helping...claw? 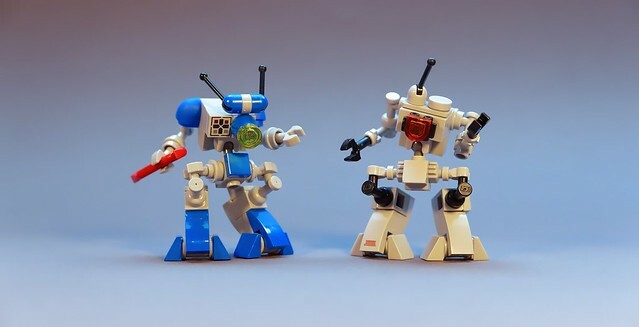 GolPlaysWithLego built these very friendly looking robots earlier this week. Not only do they have a unique style of legs and bodies, but they look quite efficient and in good condition. I'd be okay with these bots working on my spaceship, would you?